Snow chains application tables with provided by Bottari Spa. The Snow Chains Application Tables are designed to select the correct model for your car. Precisely the model that suits your tire. 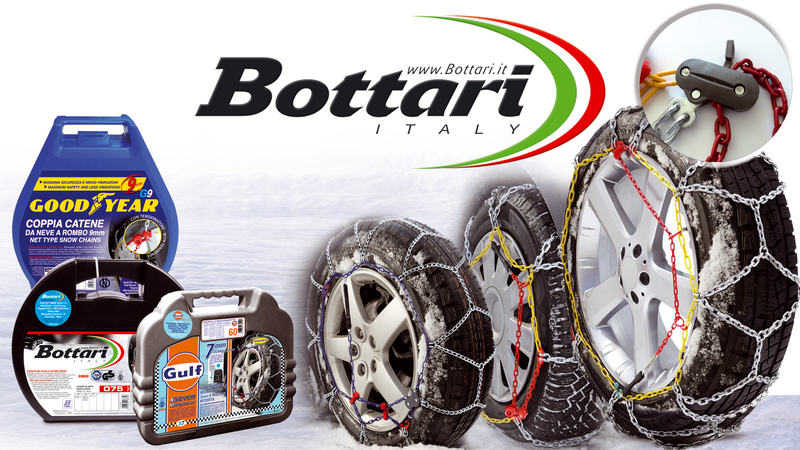 The Snow Chains proposed by Bottari Spa can be installed on any type of tire, you just choose the appropriate size. To do this there is help in the application tables that show the different sizes and the details of the tires on which can be mounted. Tables report in the header the item number and the diameter of the inner circle of the rubber and the rows below indicate all combinations of width, height, circle and diameter of your tire. To properly read your tire browse our guide “Tyres“.